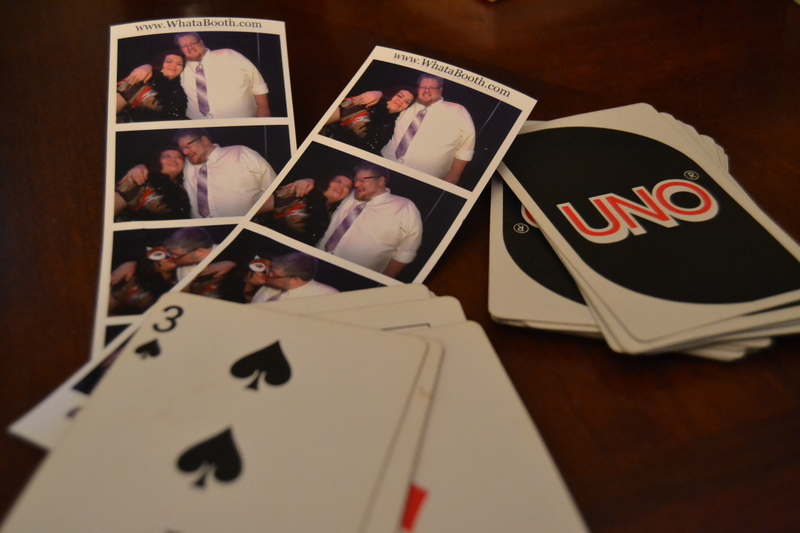 Photo booth photos and cards: the signs of a good weekend. Beginnings are terrifying. There’s so much potential to mess up. Many times, when I need to start something, I forget that, as they say, the first step is the hardest. I waste more time worrying about all the ways I could go wrong than the time it takes to actually get the job done. In the end, I’m exhausted before I even begin, let myself get distracted and end up putting off whatever it is I’m dreading for a few hours, a day, a week. It’s really pretty ridiculous. Because every time, once I get started, I’m usually finished in no time at all. Or I get started and realize it’s nowhere near as stressful as I expected. Take this post, for example. I stressed all week long, trying to figure out what to write about. This should have made it easy, right? No. Monday: Should I write a post about how hard it is to get enough sleep as a student and someone with two jobs? Maybe after a nap. Tuesday: Maybe I can write about how I recently realized how much I love web design. I’ll do it after I finish this project. Wednesday: I have a blinding migraine. I’ll write about it once it passes. Thursday: It’s already Thursday?! Maybe I’ll write about this Ebola conference I just attended. But first, I have to pack. Oh look, we hit the jackpot. Friday: I’ll write about the trip in the car as we’re driving to the wedding in Dallas. 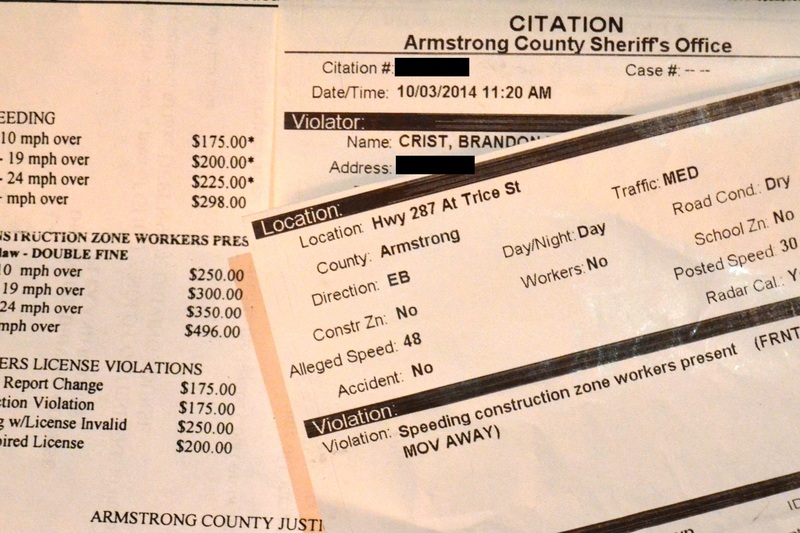 Or maybe this speeding ticket Brandon (my husband) just received. Oh. We’re here. I’ll write later. Saturday: I should write about this wedding. Or how awesome it was to see all the guys together again. Or how much I missed playing cards with Phoenix and Sheffy. But first, let’s play spades and have some Jack in the Box. Each time, I gladly let someone or something distract me. I share this look back as I’m frantically typing the blog post that should have been finished days ago. 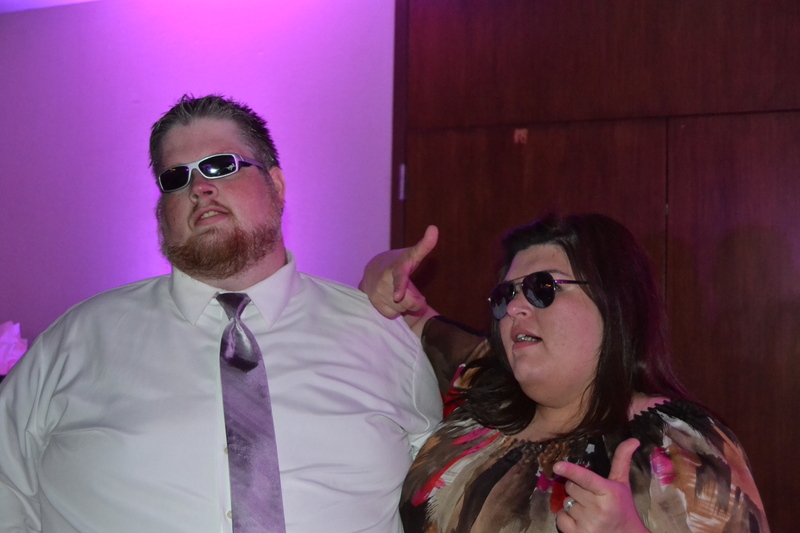 The wedding was last night, we should be about to hit the road and I’m sitting at the same table where I got beat (twice) in spades this weekend, wondering how long the rest of my homework is going to take and how that’s going to affect our drive home to Amarillo today (tonight?). No, those aren’t children’s shades he’s wearing. Why do you ask? I spent so much time trying to decide what to write that I’m writing about trying to decide what to write. What is wrong with me? On the bright side, I did have a great time with friends, their kids, Brandon and a bunch of others I hadn’t seen in a while. Just like always, as I’m almost done, I realize the beginning wasn’t so bad. Endings, though. They’re the worst.